For the fresh season of Kaun Banega Crorepati (KBC), the producers have opted for one of the finest menswear designer – Ravi Bajaj to do Amitabh Bachchan’s wardrobe. Ravi Bajaj, the perfectionist says, “He is more or less comfortable in a classic look, so I made him clothes that are more sartorial than ‘gimmicky’. We used dark colours mostly, with touches or hints of sharp colours coming through from the accessories. We did extensive fitting sessions with him, for which he especially took time out, because he and I are both perfectionists and wanted everything to fit to the ‘T’. Of course when it come to Amitabh Bachchan only the best materials can work…so the finest of silk velvets, fine light wools, finest Swiss cottons for shirts, handmade silk ties etc. were the others. Next Next post: Is Pernia getting Hitched? Hey. I don’t comply with quite a few blogs, but yours is of thelittle I stick to.Have a very great day! 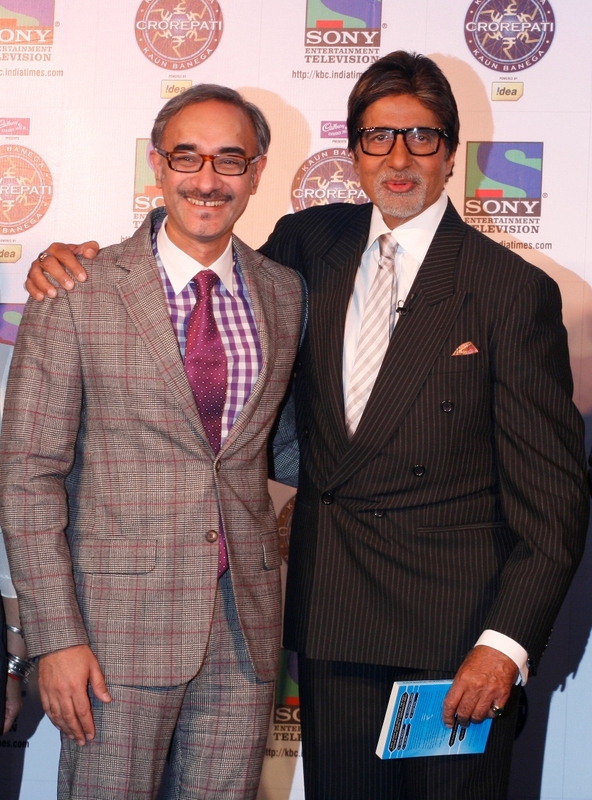 I’m Bookmarking your post as http://www.fashionscandal.com//index.php/2010/10/ravi-bajaj-suits-up-amitabh-bachchan-for-kbc-4 at Digg.com and I’ll put a small mention on one of my Sqidoo pages as well. I’ve bookmarked – Ravi Bajaj suits up Amitabh Bachchan for KBC 4 | Fashion Scandal as the entry title because i thought that you knew best. Thanks, Great Post!